One of Google’s self-driving Lexus sport utility vehicles is already on Austin’s streets, the company said Tuesday. The vehicle, which has a driver onboard, is driving around a few square miles north and northeast of downtown Austin. Google didn’t mention if the self-driving car prototype it developed will also be tested in Austin or how many Lexus vehicles will appear on the city’s roads. Until now, public road tests of Google’s self-driving technology took place only around Mountain View, where the search company has its headquarters. Expanding the trial area will allow Google to test its software in a location with different road conditions, traffic patterns and driving situations, the company said. Google didn’t mention if Austin and Texas authorities have given the road test their blessing. Neither Austin nor Texas Department of Transportation officials immediately replied to requests for comment. Texas doesn’t appear to have laws regulating autonomous vehicle use or testing. State politicians recently proposed legislation that would encourage driverless car testing with some government oversight but Google and an automotive industry trade group opposed the measure. Google’s self-driving Lexus cruised around Austin’s streets in 2013 during a conference put on by the state’s department of transportation. At the time, Google said it didn’t obtain permission from either city or state officials to operate its autonomous car. Google has 48 self-driving cars, making it the largest operator of autonomous vehicles in California. The company’s cars have been involved in ”14 “minor” accidents since Google began testing self-driving vehicles in 2009. 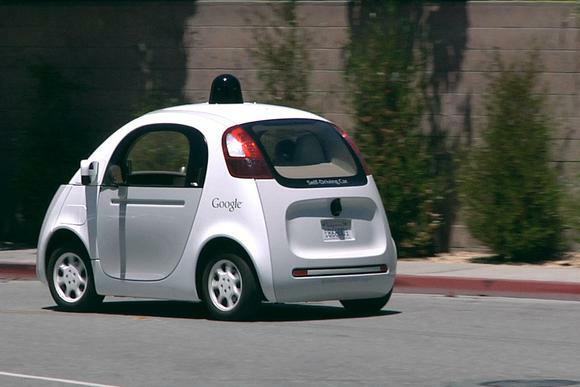 Google claims that human error, not self-driving technology, was to blame in each incident. This isn’t Google’s first project in Austin. In 2013, Google said it would wire homes in the city with its Google Fiber broadband service.